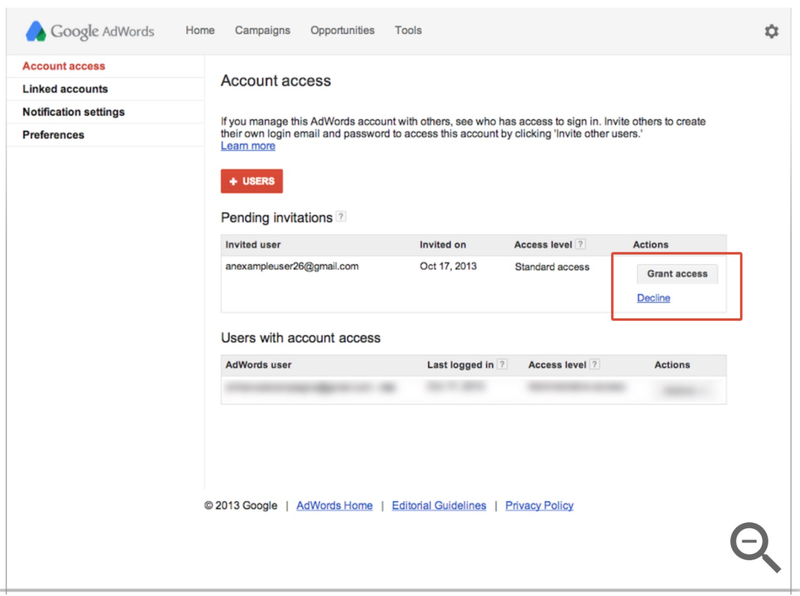 Granting Read-Only access to your Google AdWords account will allow Digital Caffeine to review your account, check on how your campaigns, ad groups, keywords, and ads are set-up without being able to make any modifications to your account. 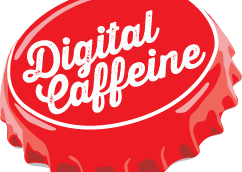 Enter a nickname for your new user, like Digital Caffeine. Once this is completed, Digital Caffeine will receive a notification and accept your invitation. 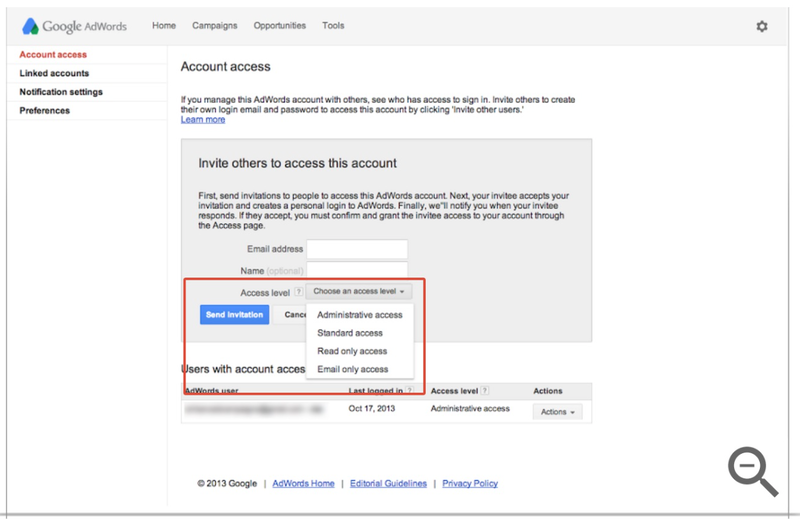 You will then receive a notification from Google with a link to your Account Access Page. What are the Different Access Levels? 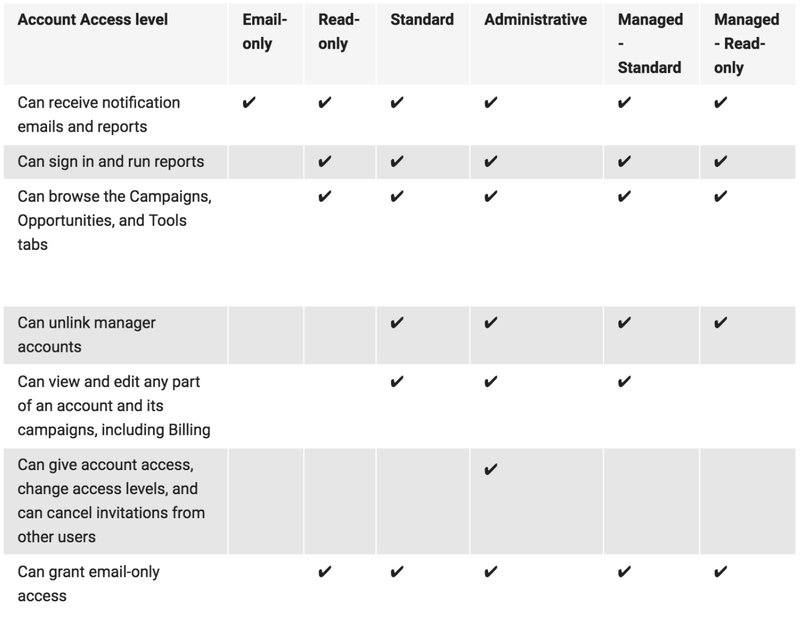 In order to do a quick review of your account and audit how effective it is, Read-only access is enough of an access level. 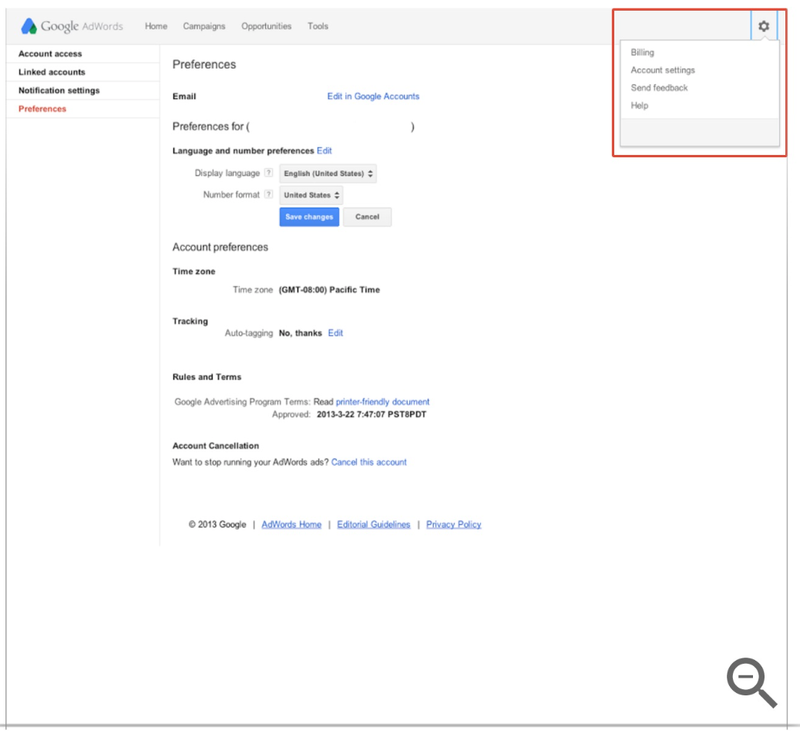 While we won’t be able to see how conversions and goals are set-up, we will be able to see enough information to effectively review your account. Once Digital Caffeine takes on the management of your AdWords account, we will request MCC access, which allows our agency to manage all aspects of your account while also letting you retain ownership and revoke our access at any time. You should ALWAYS maintain ownership of your account; NEVER share your passwords with an agency or manager. Grant them access via an MCC account.